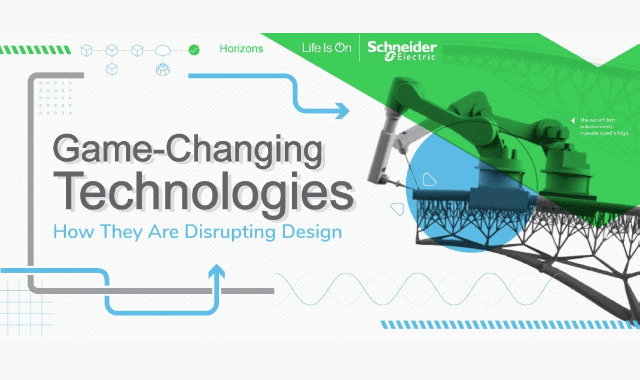 Game-Changing Technologies: How They Are Disrupting Design #Infographic ~ Visualistan '+g+"
Design is always changing, and never stagnant. In the late 20th century, it was the emergence of Design Thinking that upended how architects, engineers, and industrial design organizations made decisions about how to make new things. Now, the rapid pace of technological advancement has brought forth a new design methodology that will again forever alter the course of design history. Computational design, which takes advantage of mass computing power, machine learning, and large amounts of data, is changing the fundamental role of humans in the design process.